To review and summarize the recent progress in the diagnosis and treatment of Coats’ disease. Literature was collected from Web of Science, Medline and Pubmed, through searching of these keywords: “Coats’ disease”, “diagnosis” and “treatment”. Coats’ disease is characterized by idiopathic leaky retinal vascular telangiectasia and microvascular abnormalities often accompanied by intraretinal or subretinal exudation and retinal detachment. Neovascular glaucoma and phthisis bulbi often occur in advanced cases. Coats’ disease has significant diversity in terms of its clinical presentation and morphology. 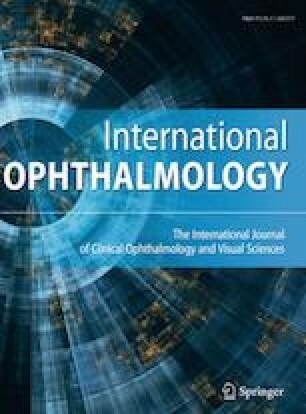 Anti-VEGF therapy combined with laser photocoagulation for early Coats’ disease and anti-VEGF therapy combined with minimally invasive vitrectomy for advanced Coats’ disease can achieve good efficacy. Early diagnosis and timely treatment based on clinical stage are critical to retaining the patient’s visual function. Patients should be aware that close long-term follow-up is necessary. This work was supported by all members of the Central Laboratory of the Second Hospital at Jilin University. The authors alone are responsible for the content and writing of the paper.